Perennials are plants – often flowers, but not always – that return year after year. Most will “die back” in the winter, but will re-emerge when the weather warms in the spring and bloom all summer long. 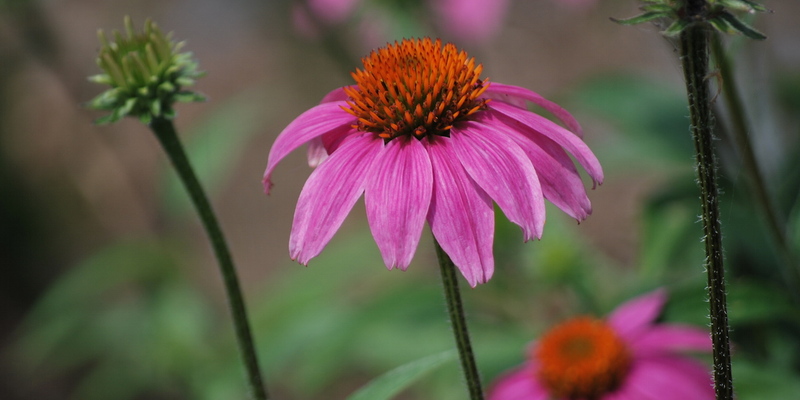 Among our favorites are the native Texas perennials that have become a Shades of Green hallmark. We grow over 120 species ourselves at our tree farm, Brillo Verde, in Collinsville. The farm produces over 40,000 perennials every year. Click here for the Shades of Green plant database or click “Plants” in the navigation bar above. You’ll find detailed information on many of the perennials we sell. Please note that this is not a complete or up-to-the-minute list. Availability varies based on the season and current demand. Database information is offered for educational purposes to assist you in selecting the right plants for your needs, and does not mean that we currently have all these varieties in stock. Please contact us to inquire about current availability.